← Artificial Intelligence could Hardwire Sexism into out Future. Unless we stop it. European companies often nd the thought of doing business in Asia at once both stimulating and challenging, given its multi-faceted nature. With the increasing emphasis on regionalisation of trade and international investment, and the increasing number of bilateral free trade agreements in existence or on the horizon, I am regularly solicited by my Europe based clients about the secret of being successful in Asia. of course, each case requires in depth analysis and insight into the particular product or service market that the client is wanting to enter. However, by careful observation of the political and economic circumstances driving both national and regional policy, we can extrapolate some key trends which will have the greatest impact on Asian and Asia Pacific business activity. What it means for 2018 business in/across Asia: Ongoing investment strategy will need to adjust to uncertainty around political agendas, geopolitical risks and around the RMB to US exchange rate; diversification strategy. What it means: There is a need for extensive use of international business intelligence and expertise to strengthen resilience against uncertainty; increase agility across regional foreign direct investment. 3. Complex India: India has again proven to be a particularly complex environment for foreign direct investment due to its unpredictable regulatory landscape, and often differing rules from one location to another. In addition, Asia’s third-largest economy suffers from uneven results of Prime Minister Modi’s policies, such as the recent example of the goods and services tax (where India’s entire services sector was hit by an increase from 15 to 18 percent). What it means: Businesses will need to Increase their investment in R&D and data centres as well as tap into the components market. The country’s recent success in demonetization shows its ongoing, exciting digital potential. The Fintech sector is booming; more innovative start-up M&A activity is imminent. 4. Japan has been making an important effort to be more international, more diverse, more welcoming to foreign direct investment (FDI). Balancing many economic challenges, including the level of national debt and the aging economy, Japan has secured free trade pacts with 10 Paci c Rim countries and with the European Union, in the quest to reposition itself more strongly and rmly into the global value chain. What it means: newly unlocked business and funding opportunities are up for grabs. Importing is getting easier. In addition, companies need to watch what deals Japan will get from its talks with russia. Japan desperately needs to open more export markets, and attract highly skilled foreign labour along the lines of Singapore or Hong Kong: There are significant labour mobility/ expat opportunities. Also, the level of skills in advanced IT (esp. Artificial Intelligence) capability provides a strategic opportunity to investors. 5. Indonesia, Malaysia and Vietnam: Indonesia is the largest of the ASEAn economies, yet red tape which hampers investment needs to be reduced further. on the positive side, Indonesia has digitalised some of its business –focused administration (e.g. company name registration) which was well received by investors. In Malaysia, capacity building and market readiness will pay off. Both countries are amongst the top APEC countries for increasing FDI, together with Vietnam (which hosted the APEC meeting in 2017). In Vietnam, international trade prospects have been strengthened by the introduction of protections for minority investors and an electronic customs clearance system. Vietnam skilfully looks after its interests (and those of the region) by balancing those of APEC co-members China and USA. What it means: There is recognition in all three countries of the need to increase their attractiveness for inclusion in global value chains, while there is continuing industrial capacity building. Both infrastructure investment and resources investment are welcomed. Watch out: first come, first served! 6. The overall region’s role in global value chains: The region’s interdependence leads to more high value participation domestically and regionally, and greater inclusion of peripheral economies in trade relationships. 2018 trends will include increased automation, AI, and upskilling. regionalised business leaders will emerge (as opposed to either local or global active players). The establishment of the APEC Global Value Chain (GVC) Partnership Platform has been proposed by China and Indonesia to boost agenda- setting on policy dynamics, business development and academic frontier researches, and to customise capacity- building programs to move up GVC. 7. Integration- Amongst the many new Free Trade Agreements (FTA) in the region, 7 are intra- APEC, while another 14 were also signed in the region that involve at least one APEC economy. In 2000, there were only 5 pluri- lateral FTAs noti ed to the WTO, but in 2017 there were 38. Where bilateral agreements across and with non-Asian countries are concerned, the number increased from 9 to 97 FTAs in the same time period. Despite obvious political and cultural tensions, trade & investment links flourish. The golden triangle of China, Japan and South Korea now has much improved trade and investment connections, accounting for a quarter of the world’s output of goods and services. For example, Japanese investment in China has been rising rapidly (compared to a decline in 2016). APEC has strengthened its engagement with the private sector and promotes joint policy and regulatory approaches for industry, e.g., common standards addressing the safety of e-vehicles through design and performance requirements. At the same time, ASEAn’s 2017 trade gures between China and ASEAN’s Big Five of Indonesia, Malaysia, Philippines, Singapore, and Thailand have increased by 500%. What this means: Considerably improved cross-border trade and investment conditions, which will allow for greater choice in business location and high values of commitment and investment satisfaction as measured by the Investment Model Scale. 8. Life after the TPP: Despite the US Government’s withdrawal from the Trans-Paci c Partnership (TPP), the other countries in the proposed trade agreement have kept on negotiating and are using the opportunity to press their own trade agendas. In addition, the US’s new military engagement strategy and changed diplomatic rhetoric with the east have led to a rapid realignment of power in the region. What this means: In this context of increasing market integration, businesses have been quick to use partnerships for cross-border activity, and Joint Ventures and M&A as entry and investment modes; this provides greater nancial investment and labour mobility. 9. Prosperous Asian east, uncertainty in Asia’s west. Political and economic stability influence investment choices, especially when they are cross border. The type of vehicle chosen will depend on the circumstances in the country chosen. For example, expanding into Vietnam implies most often acquisition; joint ventures are most common in Singapore; wholly owned ventures are usual in Russia; Foreign Trade Zone investments are used in Malaysia. 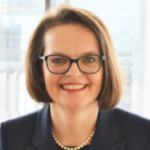 Further South into the Asia Paci c, Australia and New Zealand have engaged further into FTA activity and Australia specifically is transitioning from a principally resources and agriculture based economy into a well- networked knowledge economy providing significant opportunity, especially in services. 10. Threats and opportunities: unrest, famine, natural disasters: Despite the many opportunities for business investment in the region, huge challenges remain in much of Asia. These challenges also provide many opportunities for those with a longer-term view, from Disaster resilience Capacity Building to climate change- focused solutions. Major investments are needed in energy efficiency, and innovative solutions are required in innovative waste reduction, water management and other environmental solutions. responsible business practices will pay large dividends. Willingness to engage in trade & investment across a diversity of economic conditions will lead to reverse innovation strategies, where innovation seen or used first in the less developed markets and proven there will be applied in developed markets. and Europe, and is Author of ‘Doing Business in Europe’; Doing Business in Asia (forthcoming) and the International Business Companion Handbook. Parts of this text are also published via LinkedIn. This entry was posted in Fifth Edition. Bookmark the permalink. 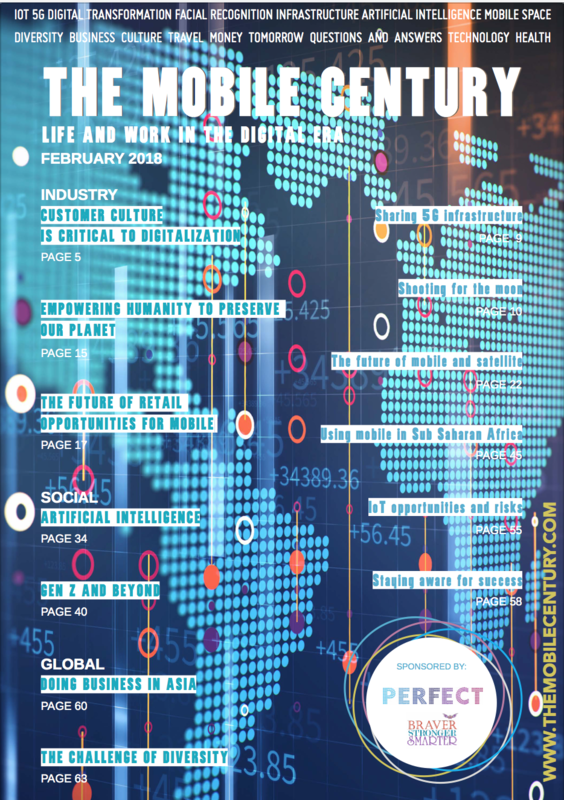 Welcome to the 2019 edition of the Global Telecom Women’s Network (GTWN) agship publication, The Mobile Century: Life and Work in the Digital Era (TMC). This year, in recognition of the continuing evolution of the digital age, we decided to explore how digital technology in all of its forms is changing every aspect of our lives: Towards a new Digital Culture. Since its inception more than a quarter of a century ago, at the start of the internet revolution, the GTWN has focused not just on technology, but also on the impact that technology is having on the economy and society at large. We have taken a particular interest in highlighting the intersection between technology and humanity. Our members and colleagues are intensely focused on how we can apply the great advances in communications networks, media, computing, satellites, big data and social media, for example, to solve some of the most important problems facing mankind. It is therefore no surprise that TMC has always covered a very broad range of topics where digital technologies are being applied – from healthcare, education, social sciences, law and regulation, nance, to space and development aid. And this year is no exception. The rapid advances in digital mobile and xed technology is also a strong theme this year – ultra fast broadband networks, and the challenges of the ever-increasing data demands of consumers; the promise of 5G and IoT; artificial intelligence and machine learning applications; virtual reality; the use of satellites in isolated communities; the promises of gene-based healthcare; and the future of digital cash. The variety and depth of these topics clearly demonstrate the knowledge and expertise of our members, colleagues and supporters, as well as their industry recognition. Reflecting the rise of scams and cybercrime, a particular focus this year is on cybersecurity and the ways we can all seek to safeguard our privacy while fully participating in our new data driven world. Many answers are proposed – from encryption, to consumer education and awareness, to regulation. Ultimately, one suspects, a combination of all of these approaches, and perhaps even more, will be needed, while our perception of privacy may itself continue to evolve in line with technology. A special thank you to our authors, who have given of their time and expertise to make this publication a success. Thanks, as always to our designer and sub- editor, Marge Salem for meeting tight deadlines with a smile. We are proud to be partners with the GSMA’s Women4Tech Program, without whose sponsorship this publication would not have been possible. We would also like to acknowledge, with our sincere thanks, the support of SES- imagotag, sponsors of our Welcome Reception held at the Casa de la Seda (Silk Museum) during MWC Barcelona on 25 February 2019. Are You Ready for your “Digital Twin”? The World Economic Forum (WEF) Global Gender Gap Report 2018.